the TMF discount pays for itself every time I go in there! oh and make sure you keep the body number plate thats on the slam panel (just above the radiator) and the VIN number thats stamped into the gutter on the scuttle (just above the clutch cylinder) Very difficult to put back if you throw them away! get a new heritage scuttle, wings and front panel. Expensive yes, but will fit better. 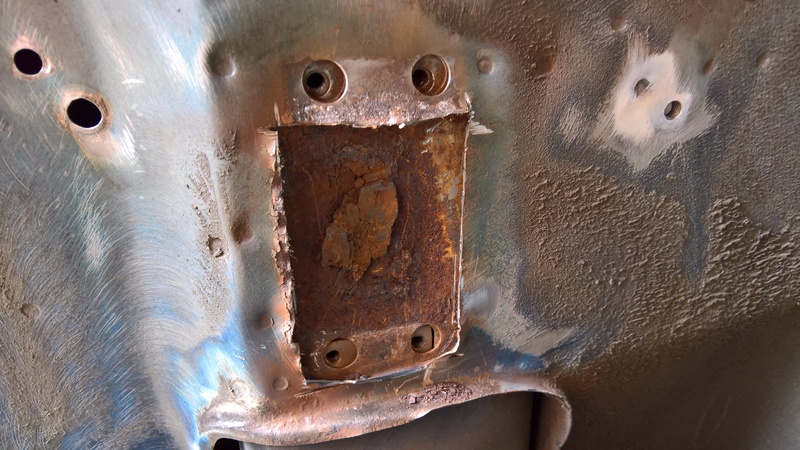 You will 100% have a big hole underneath those front shock mounts which will require both plates to be fixed. Yeah I thought those shock mounts might be hiding something. I’m defo going to use heritage panels, is there anywhere recommended to order from or all they all much of a muchness? I noticed if I join tmf+ get 5% off at minispares which could be a decent saving after a year or 2! Its 7.5% discount and you will recoup the original £5 layout very very quickly. Also for what you see as light rust i see as a lot heavier. As soon as that surface is cleaned back you will find the metal pitted. That means it will be thin and will need replacing. I have said this many many times until i'm sick of saying it, mini metal is thin, 0.9mm is the majority so inner wings floor, boot floor etc etc etc etc. The thicker metal is the toeboard heelboard and bulkhead crossmember at 1.2mm so not much thicker. So any pitted metal will be thin. Once you have all of the underseal removed and paint then you can make a proper informed decision what does really need to be replaced. Thanks for the input, agree until it’s cleaned up won’t know how bad it really is. Just my first impressions were they are better than I was expecting and repairable rather than needing complete replacement but maybe I’m being optimistic! Looks like a typical rover mini with its panels coming off, seen this all to many times now, everything is out there to fix though so she will be back to her full health in no time. No, there is no requirement for bracing at this point in time. Whip the nasties off then see what the actual damage is. 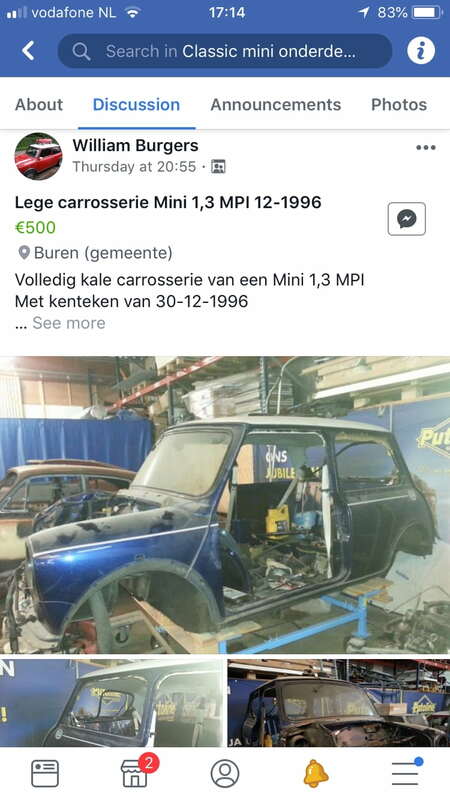 I came across this car on facebook, might be better than trying to restore yours?